These are different wheel combinations for the Tamiya twin gear box. 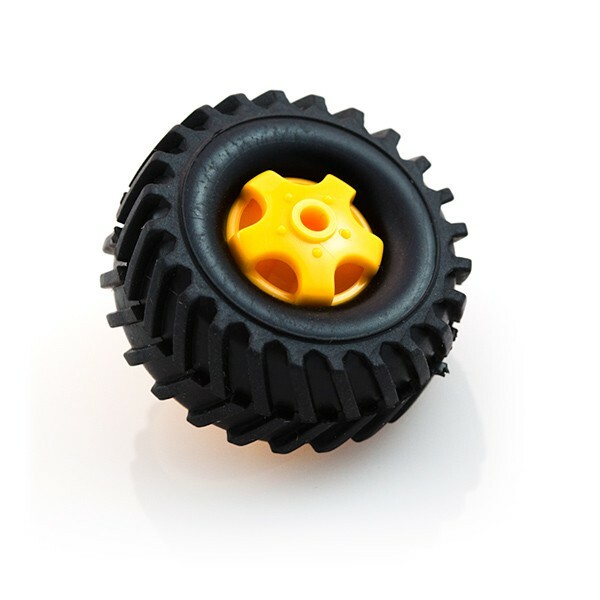 All tire types press-fit directly onto the Tamiya axel without the need for glue or screws. Simple assembly is required for all types. Mix and match to create some very peculiar looking robots.